Killington Reservoir is located to the east of the M6 in Cumbria, just south of Junction 37 at the turnoff to Sedbergh and Kendal, Grid Reference SD591911. It is owned by the Canals and Rivers Trust and offers a range of recreational opportunities, including fishing, bird watching and water sports (see Killington Sailing Association at www.k-s-a.co.uk). Two large earth dams currently impound the water with the reservoir holding 3,236 million litres of water when full. The reservoir supplies 22.7 million litres of water a day to the Lancaster Canal, via Peasey Beck. There will be no interruption or change to this supply as a result of the project. Why has this site been chosen for Community Energy Cumbria’s first hydroelectric project? Community Energy Cumbria is committed to developing renewable energy projects which make financial sense AND which properly address ecological, visual and aesthetic sensitivities. With these in mind and also from a risk management and financial investment perspective, the site at Killington is ideal for a hydroelectric scheme and CEC’s inaugural share issue. The size of the reservoir (58 hectares), the longevity of catchment precipitation records 30 years +) and the fact that the outflow pipe is 15 metres below the surface of a 3.2million litre reservoir – all factors which provide sufficient reassurance that the supply of water to the turbine will be constant. 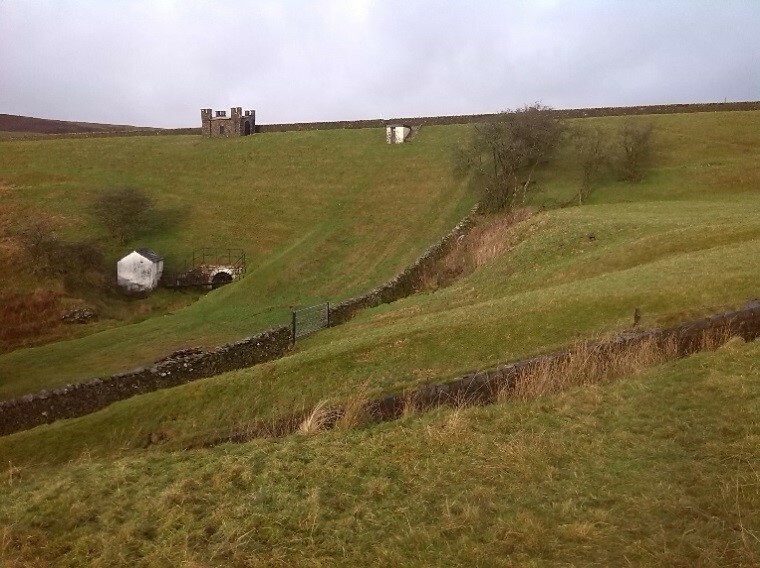 Water flow calculations have been carried out by experienced hydro engineers leading to the decision to install a 30kW, CINK turbine, chosen to maximise efficiency for the volume and ‘fall’ of water from the reservoir. There will be no interference to aquatic life, migratory fish or water flow as a result of the project. An overflow pipe is already in place. The project will simply tap into this existing pipe as it surfaces below the dam and connect it to a new 30kW turbine (a process known as ‘hot tapping’). There are minimal earthworks involved. The site of the turbine and turbine house cannot be seen from any viewpoint except from the dam itself and from the immediately adjacent low lying ground- so there are no visual impacts. A full hydro outline philosophy can be found by clicking here. The 30kW CINK hydroelectric turbine will generate 152,000 kWh of electricity a year, saving approximately 80,423 kilogrammes of CO2 per annum or 1.6million kilogrammes of CO2 over the 20 years of the project. Ellergreen Hydro Ltd from Burneside near Kendal originally developed the concept of the Killington Overspill hydro project. The scheme is now fully consented and has full planning permission. 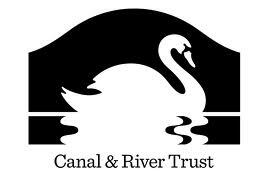 A lease has been negotiated with the Canals and Rivers Trust. Under the direction of its Directors, Mark Cropper and Adam Cropper, Ellergreen Hydro Ltd will continue to manage the project through to installation and commissioning on behalf of CEC. The total project cost will be approximately £260,000 + VAT (which includes 15% contingency and also includes the £15,000 cost of establishing the CEC share offer). Annual Income will be approximately £33,500 in the first full year of operation. Annual maintenance costs, insurance and management will be approximately £12,000 pa in the first year of operation. Therefore, in the first full year of operation, approximately £21,500 will be available to distribute between interest payments, capital repayments and community benefit. No project is wholly without risk and prospective Members should read the ‘Risk’ Section of the Share Offer for a more comprehensive assessment. 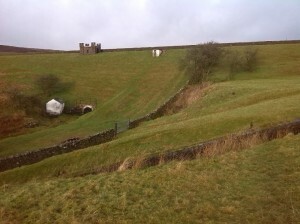 However, the Killington proposal lends itself to CEC’s ambition to launch with as safe a hydro project as we can find. A 40 year lease has been drawn up between CEC and the Canals and Rivers Trust, negotiated on CEC’s behalf by Ellergreen Ltd solicitors – Bond Dickinson. This comprehensive lease includes matters such as access, water flow, maintenance and rent. The combination of the size of the reservoir, the annual precipitation, the flow pipe location 15 metres below surface level and the terms of the lease all provide sufficient reassurance that the water will flow constantly throughout the year. There may even be some opportunity during the lifetime of the project for the Canals and Rivers Trust (CRT) to use CEC’s pipe to draw down the level of the dam, thereby increasing the generation capacity of our project. Within the annual maintenance budget we have accounted for a part time caretaker who will regularly inspect the equipment to ensure smooth, unbroken generation. However, we do not expect there to be any significant interruption to generating capacity. Our financial model is adjusted for 7.3 days a year lost to maintenance, though we do not expect this to be necessary. From the signing of contractual agreements with Ellergreen (Expected August 2015) we anticipate installation and commissioning taking 4 months maximum. For a number of years a group of residents in nearby Killington (approx. 5 miles, pop. 150) have been successfully managing a series of local sustainability projects involving energy efficiency, education and domestic renewable energy. The group, known as Killington Sustainable Energy Trust or K-Set has been developing their own community renewable energy project. They aim to install a 50kW Archimedes screw hydroelectric turbine on the River Lune (known as the Broad Raine Weir Hydro Project). In spite of significant obstacles, the community is close to realising its ambitions and hopes to be able to begin installation in 2016. It is CEC’s intention to inform Members of CEC when K-Set is ready to launch its own share offer, as well as sharing our experience with and advice to K-Set, as required. Click here to watch a video on the development of this project.